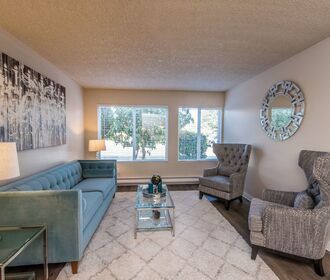 Perfectly situated in the highly desirable North Tacoma suburb you will find the tastefully renovated Narrows Pointe Apartments. Discover the peacefulness of apartment living nestled in the privacy of a residential neighborhood. Designed to provide convenience, Narrows Pointe's beautiful setting offers a quiet haven away from the bustle of big city life, yet, a quick and easy commute to major centers of business, shopping, and entertainment. 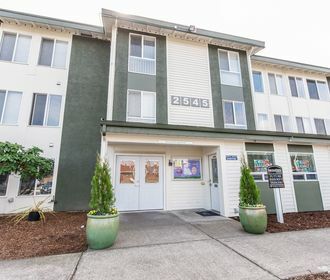 Nearby hot spots include, Westgate North Shopping Center, Tacoma Community College and Point Defiance Zoo & Aquarium. Be assured that our professional on-site management team takes pride in providing you with quality living at its best. 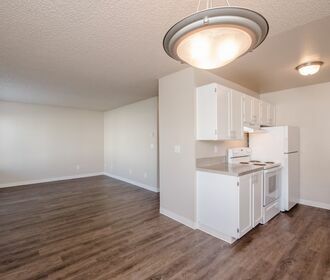 Offering 1, 2 and 3 bedroom homes, in-unit amenities include renovated hard surface flooring, new all matching white appliances, resurfaced counter tops and new modern cabinet faces and hardware. Community amenities include a playground, outside picnic seating and a well-maintained laundry facility. Narrows Pointe is also a pet friendly community, please refer to our pet policy to ensure that your furry companion meets our guidelines! Don't miss out on these wonderful homes! Apply online today through the online leasing service or call to schedule a tour of your new home today!